For an easy dessert that rivals 'homemade' try this. It is so easy. 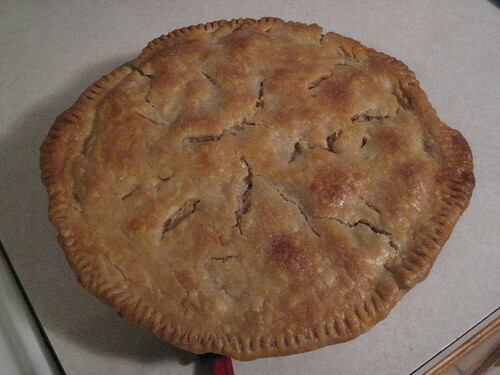 If you are using the 'Pillsbury' ready made crusts, you will need a pie tin. Take one crust in a tin, pour pie filling into pie crust. Top with the other crust. Crimp edges together. Cut air holes (knife slits work fine) in top crust. Gently brush egg over the top crust. Sprinkle with sugar and cinnamon. Pop in a 350* oven for about 1 - 1 1/2 hours. When top crust is golden brown, remove from oven, let cool.